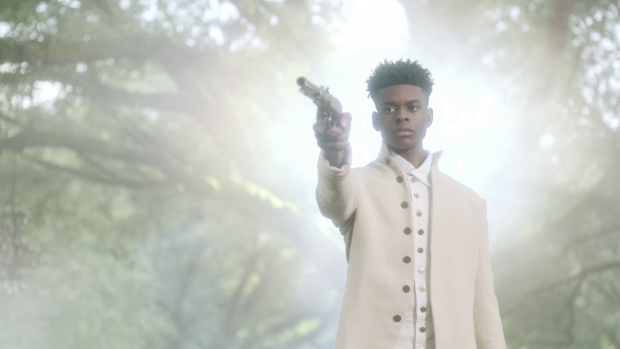 Marvel’s Cloak & Dagger continues to develop Tandy and Tyrone separately while finding creative ways to make use of the unique connection that exists between them. The first three episodes of this show have proven that it’s very ambitious. Keeping the two lead characters apart for the majority of these episodes proves that on its own but this particular outing is very confidently written to find a creative way to capitalise on the connection between the characters without actually having them directly interact. Dream sequences can be problematic on shows like this because they tend to confuse the situation rather than clarify anything and are often used as an excuse to overload the viewer with a fractured sense of reality. This happens to a degree in this episode but the dreams are used to deliver fascinating insight into the characters. It’s also an interesting stylistic choice. I appear on frequent podcasts talking about Legion; a show that defines itself by being unconventional in the way it presents itself. 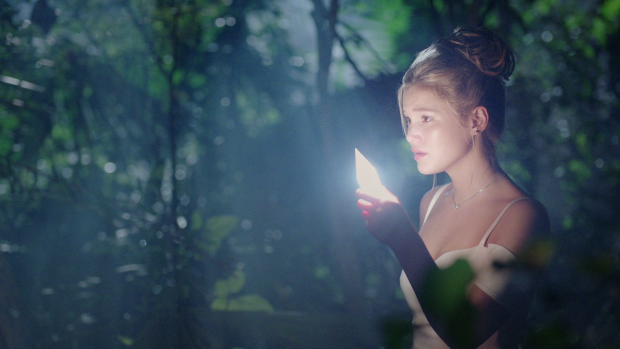 Marvel’s Cloak & Dagger seems to be attempting a halfway house between traditional superhero storytelling and the more abstract style that Legion favours. It works really well so far and brings viewers something different. Tandy and Tyrone are both very damaged teenagers in their own way. Tandy is still reeling after the death of her father and feels no connection to anyone around her. Tyrone can’t get over the death of his brother and is consumed by a desire for revenge that is leading him down a dark path. Tandy’s response to any hardship in her life is to run from it and Tyrone’s coping mechanism is seeking out the revenge that he is convinced will bring him peace. The two characters are clearly misguided and have to learn that before they can truly heal. The episode picks up where the previous one left off, with Tandy on the run and Tyrone about to get the revenge he thinks he wants. These misguided actions bring them together when Tyrone teleports into her path just before firing his gun. The bullet hits Tandy’s car and she crashes it therefore disrupting her attempt to run away and start a new life. This is one of two points in the episode where the two leads are physically together and it comes across as a bit of a tease as they barely speak before being separated once again. It’s entirely justified because Tandy sees Tyrone with a gun and is afraid of him. The conversation amounts to little more than that but the scene has a symbolic purpose that establishes the purpose of the episode. This is the first example of each of them stopping the other from making a mistake that they will regret for the rest of their life. Being thrown together by their connection created by their powers stops Tyrone from becoming a murderer and forces Tandy to head back to her old life temporarily to at least lick her wounds. Once they are separated again the episode becomes introspective for both of them. Tandy still wants to run as far away as she can even after learning that the police aren’t actually after her for what she did. Not much is known about Detective O’Reilly (Emma Lahana) as a person so far but this episode shows us that she’s rational, intelligent and principled. She immediately sees why Liam (Carl Lundstedt) ends up in hospital by putting together the obvious clues given by the scratches on his face and the fact that his trousers were unbuckled when the paramedics found him. This causes her to interpret the narrative as Tandy being the victim who defended herself rather than the malicious attack that Liam will likely try to frame it as. She is clearly contrasted against Connors who so far seems like your standard corrupt cop who makes the case go away to suit his own interests rather than getting to the truth and offering protection to those who need it. It looks like Detective O’Reilly will end up being an ally rather than a pursuing antagonist and I like the idea of that because it could give Tandy the stable role model that her mother is unable to provide. The development of Tandy and Melissa’s relationship is also interesting as this episode adds complexity to their connection. Tandy clearly has issues with her mother and her chosen lifestyle because she is ignorant of Melissa’s inability to deal with her husband’s death. Her propensity to run from her problems means that they didn’t have the opportunity to work through their grief together but it manifests in self destructive ways for both of them. Tandy returning to Melissa’s house to lick her wounds before running again shows that on some level Tandy still needs her mother even if she’s unprepared to admit it and Melissa makes no secret of the fact that she wants to maintain a relationship with her daughter. When Detective O’Reilly comes to the door Melissa defends her daughter by covering for her and even Greg (Gary Weeks) understands how important Tandy is to Melissa as shown by him using his knowledge of the law to back her up. The conversation between Melissa and Tandy shows how much Melissa cares about her as well as how frustrated she is with Tandy’s unwillingness to let her into her life. This show is very much rooted in the character relationships and this is a clear example of a wonderfully complex one. The main relationship for Tyrone in this episode is with Evita (Noëlle Renée Bercy). She was a presence in the first two episodes but outside of helping contextualise Tyrone’s empathetic nature there wasn’t much to her. This episode develops her as a character by focusing on her compassionate nature and her desire to help Tyrone deal with the pain he is obviously hiding. She introduces him to Voodoo as a way to promote healing of the soul. I found this take on it refreshing as she delivers -what I assume to be- a grounded and realistic portrayal of Voodoo as a religion and a way of life. It’s used as a catalyst for what the episode is trying to achieve and is certainly a positive influence on Evita in terms of her emotional well-being. Things like warding off evil spirits is more of a metaphor for dealing with emotional issues that have a negative impact on every aspect of life so there is a tangible practical purpose for it which fits the tone of the show nicely. The Voodoo tour is something that takes entirely too long without doing anything that is all that interesting. For the most part it’s informative yet repetitive with very little insight into the two characters. It is swiftly fixed once Tyrone and Evita are alone but the tour part wasn’t all that strong. The binary dream sequences are fascinating because of how much it teaches us about these two characters. In Tyrone’s case we get a sense of his desires through an alternate version of the flashback sequence in the first episode where his brother decides to go with him instead of into the situation that would lead to his death. In Tyrone’s mind that one moment defines everything that happened to him afterwards and he is tortured by the knowledge that a very simple different choice would change his life for the better. After that he is stuck in a neverending loop of bad decisions where he tries to exact revenge against Connors and always has it end up with the death of his parents and a police pursuit that ends up in his death. His desire for revenge is so strong that he fails to see any other solution even though he’s aware of the negative consequences. Tandy takes the role of an onlooker who sees these repeated mistakes and encourages him to try something else. He ignores her until she adds one of her light daggers to the table of weapons. They become handcuffs that cause the representation of Connors to run. It’s not subtle as lessons go but I doubt it’s supposed to be. Tyrone is made aware that Connors can be brought to traditional justice where he will pay for what he did rather than Tyrone taking the law into his own hands which will result in him and everyone he cares about coming to a bad end. Tandy’s involvement in helping him learn that lesson reinforces the profound connection they have and shows how positive an influence she can be in his life. His dream also comes with the imagery of cheques made out to him which signifies good things coming his way. He rejects them because he doesn’t believe that he deserves good things at that point. Evita is instrumental in starting to change that mindset. She is generally kind to him throughout the episode and has a genuine desire to help him any way she can. Their kiss shows that Tyrone is willing to accept that he deserves good things in his life and is starting down a road to processing his grief in a much healthier way. Tandy’s dream is along similar lines. She is standing outside a glass box as her father is waterboarded by members of the Roxxon board clearly signifying hat Tandy blames them for her father’s death. As with Tyrone this is an endless loop of her standing helplessly as her father is waterboarded before she runs way. She runs into a swamp and drowns which clearly shows that she doesn’t believe that running is a positive action but that it’s also the only way of dealing with it that she can think of. Tyrone asks plainly what she thinks will be on the other side and challenges her to try something else. Eventually she presses one of her light daggers against the glass and has her mind opened up to new possibilities. We don’t see what she does after deciding to confront the problem but she comes out of the dream willing to fight against the assault she endured and pick up the pieces of her life to build something better. Tandy learns that running won’t get her anywhere and her best chance is to stay where she is to let those that care about her help her. Once again it’s a simple lesson but she is unable to see the benefits without Tyrone’s involvement. This further reinforces their connection and shows the positive influence that Tyrone can have on her. There is a really clear and fascinating insight into how Tandy sees herself in the sequence where she hands out communion bread in a church that kills anyone who eats it. She sees herself as poison to everyone around her and can’t seem to change that. The fact that the representation of her younger self seems happy when putting people to her death suggests that she enters into those relationships without considering the consequences. Judging by this she has a very low opinion of herself that needs some context to either change her behaviour or show her that she isn’t as bad for others as she imagines herself to be. 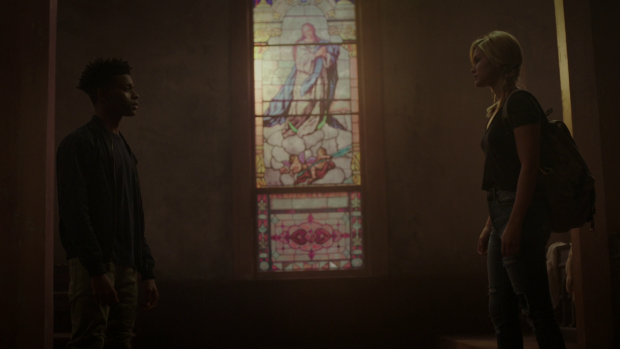 The episode ends with them calmly standing inside a church ready to talk to one another. It feels like the right time for these characters to come together and discuss the connection that they have. Neither of them understand it but they know that it exists so neither of them will be satisfied until they at least explore it. It took this long for Tyrone to start thinking more positively and for Tandy to stop running so now they can possibly work together to deal with their issues. An excellent episode that makes good use of the connection between Tandy and Tyrone. The show has been keeping them apart to develop them individually before bringing them together and it works really well because the characters are strong enough on their own. Using their dreams as a creative way for them to interact is fascinating because of the insight it provides into the characters. The symbolism isn’t subtle by any means but it’s clear and effective nonetheless. Tandy and Tyrone have very similar problems of being misguided in how to deal with their problems and unable to see a different way to deal with it. Tyrone struggles to deal with the grief that comes with his brother’s death and thinks that revenge is the way to solve that despite knowing that it won’t. Tandy feels that running away will solve her problems even though she doesn’t know what she’s running to. Within the dreams they are encouraged by the other to try something else which affects them positively therefore reinforcing the connection and showing how positive an influence they can be on one another. This gets them to the point where they are calm enough to have a real discussion as teased by the closing seconds of the episode. The episode also does a great job of building different relationships in Tandy and Tyrone’s lives. Tandy interacts with her mother which fleshes out their troubled relationship but shows that Melissa cares deeply about her daughter and that both of them missed out on the support they needed from each other after Tandy’s father died. Tyrone spends most of his time with Evita who wants to help him deal with his problems with the aid of different Voodoo techniques designed to heal his soul. It’s a fresh and realistic take on Voodoo and what that means to people. The tour portion of the episode takes too long but the scenes where Tyrone and Evita are alone work really well. She’s an engaging character with a clear purpose and works well with Tyrone who sees that he does deserve good things in his life as signified by him kissing her. Detective O’Reilly is surprisingly set up as a potential ally rather than a chasing antagonist. She is focused on protecting Tandy after easily deducing that she is the victim of an assault who defended herself. The episode does a really good job of building Detective O’Reilly with very little screen time and showing her to be a compelling presence.